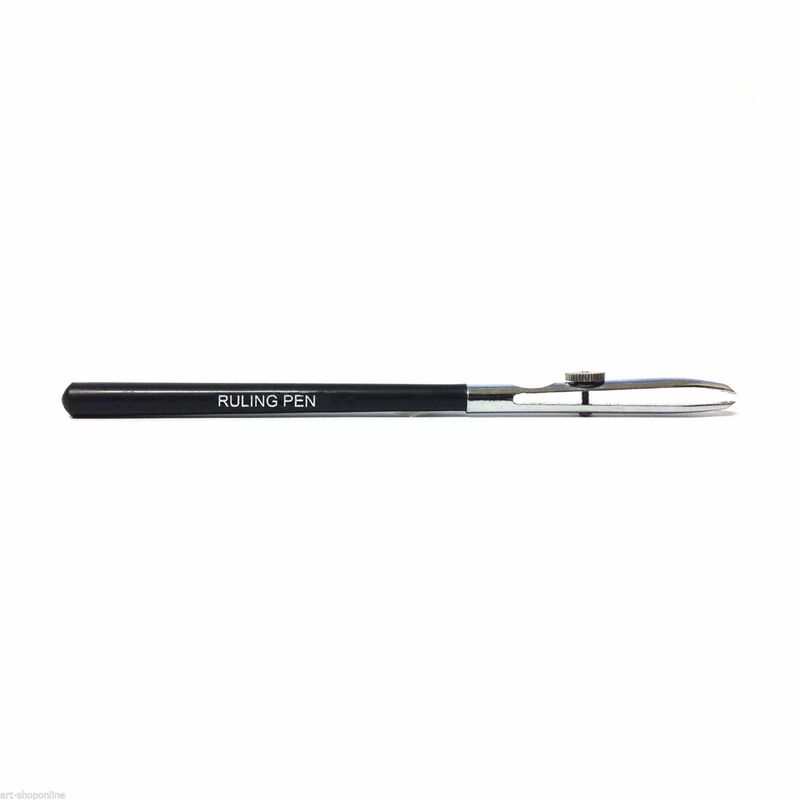 The Ruling Pen is perfect for applying Masking Fluid to your paper. 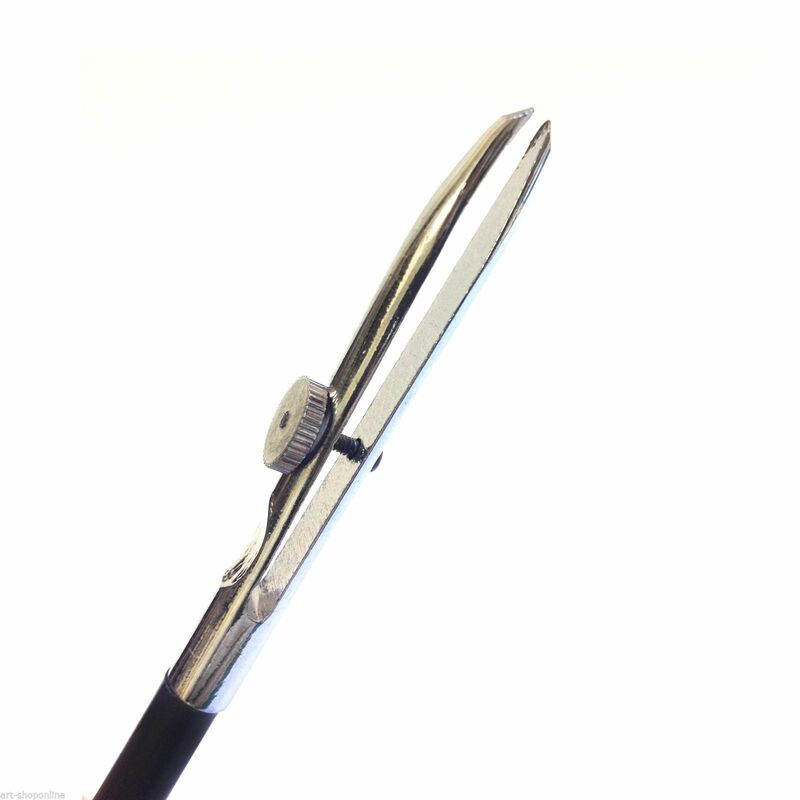 Dip the ruling pen in the masking fluid and 'scratch' onto your paper, creating very fine lines that will be masked against the paint. Once you have painted your picture, you can remove the masking fluid to reveal very fine lines of unpainted areas on your paper. Great for grasses, small branches, rope, and other fine detail. 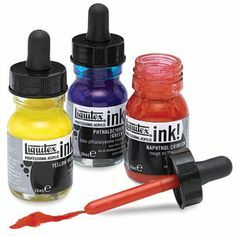 Liquitex Acrylic Inks are quick drying, permanent, and non-clogging, which makes them ideal for a variety of techniques from watercolor effects to stamping. Available in a range of 30ml bottles with a dropper.